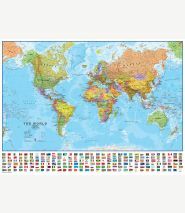 View the world from a different perspective with this Pacific-centered world wall map with flags. Map details: This Pacific-centered wall map shows the world centered along the 150°E longitude line. Instead of splitting the globe along the Pacific Ocean, this map splits it along the Atlantic Ocean. The countries on the Pacific-centered world wall map are different colors based on international boundaries. It also has capital cities (including approximate population size) and relief shading. Mountain peaks and depths are given on this Pacific-centered world wall map. The base of the Pacific-centered map contains a panel of country flags. 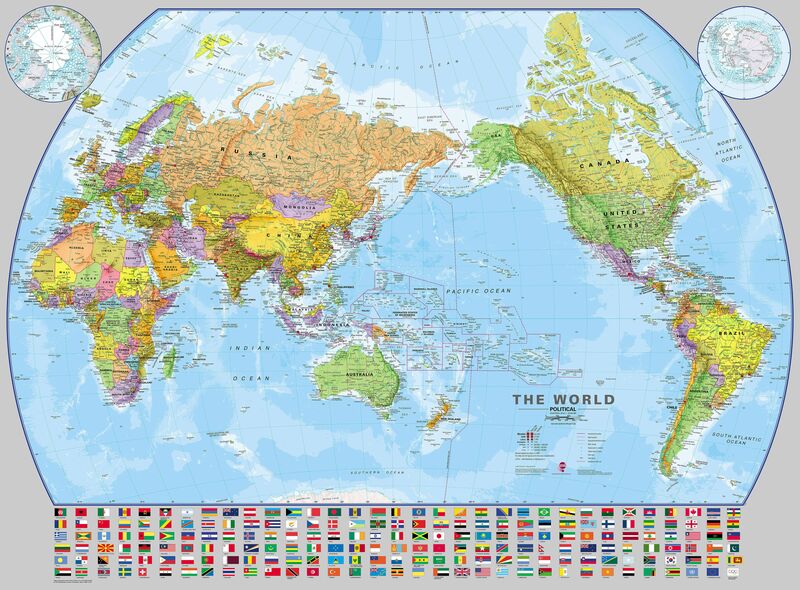 Map uses: Great for relearning the world and its geography. Ideal for middle or high school schools and for people who like to have their thinking challenged.